The ten peaks above the 2,000m include Mt. Vettore (2,476m), Mt. Sibilla (2,175m), the peak of the Redentore (2,448m), Mt. Priora (2,332m), Monte Bove and Mt. Argentella (2,200m). The main Apennine ridge of the Sibillini Mountains is intersected by a number of gorges on the East that start the valleys of the Aso, of the Tenna, and of the Ambro. On the Western slope is the great plateau of Castelluccio that includes three lesser plains (Pian perduto, Pian grande, and Pian piccolo). There are at least 1,800 floral species in the Park, among which the Apennine edelweiss, the yellow Alpine Pasque-flower, the moss campion, the martagon lily, the bearberry, and a number of orchids. Among the arboreal species there are the downy oak (Quercus pubescens), the hop hornbeam (Ostrya carpinifolia), the manna ash (Fraxinus ornus), the turkey oak (Quercus cerris), the hornbeam (Carpinus betulus), the chestnut tree (Castanea sativa), the holm oak (Quercus ilex), the beech (Fagus silvatica), and the sycamore maple (Acer pseudoplatanus). There are also at least 50 species of mammals such as the wolf, the porcupine, the wild cat, the pine marten, the snow vole, and the roe deer which has been recently reintroduced. There are slo 150 kinds of birds, such as the golden eagle, the peregrine, the eagle owl, the goshawk, the sparrow hawk, the rock partridge, the wall creeper, the snow finch, and the chough. Over 20 kinds of reptiles and invertebrates can be found, such as the Orsini viper and Chirocephalus Marchesonii, a small crustacea living exclusively in the Lake of Pilato. Churches and Museum of the Sibillini National Park. Among these are the Church of SS. Vincenzo and Anastasio (Amandola), the Sanctuary of the Madonna dell’Ambro (Montefortino), S. Maria in Casalicchio (Montemonaco), S. Leonardo Priora , Golla dell’Infernaccio (Montemonaco), S. Maria in Pantano (Montegallo), the Monastery of Montesanto (S. Pellegrino of Norcia), S. Scolastica and Madonna delle Grazie (Norcia), S. Salvatore (Campi di Norcia), the Abbey of S. Eutizio (Preci), the Sanctuary of Macereto (Visso), S. Maria di Rio Sacro (Acquacanina), S. Maroto (Pievebovigliana), the Hermitage of the Grotta dei Frati (Cessapalombo), and the Sanctuary of San Liberato (S. Ginesio). The awesome landscape is an ideal location for Appenine Mountains hiking holidays, cycling holidays, bird watching, photography, drawing and painting. 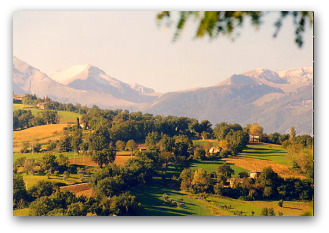 The Sibillini National Park run organised tours and treks throughout the spring, summer and autumn months and there are itineraries available. There is Parascending, white water rafting and extreme sports on offer nearby, two of Italy’s most stunning gorge walks at Golla Dell’ Infernaccio and Golla dei Frati and Lake Fiastra mountain lakes with its beaches and trattorias. 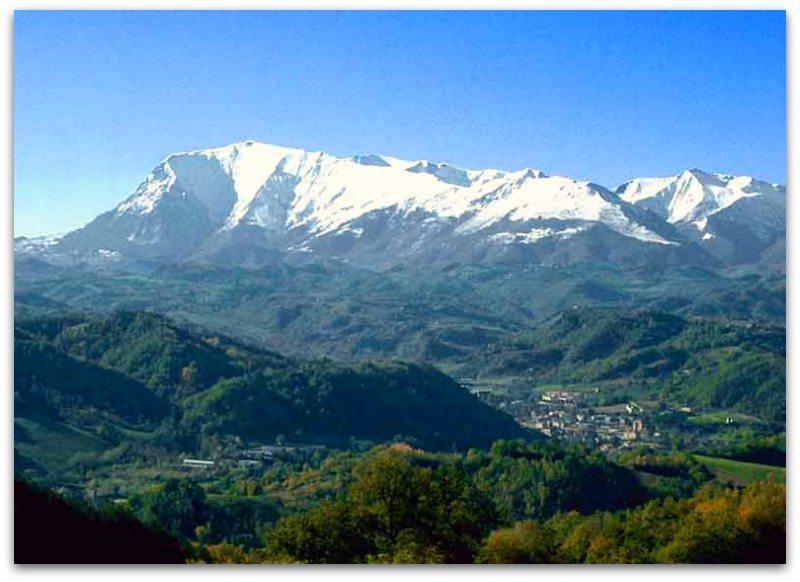 Le Marche’s Sibillini Mountains, in the central Italian Appennines was named after the a prophetess, or Sibyl, who was allegedly condemned by God to live in a haunted mountain cave until judgement Day, in punishment for her temper when reacting to the news that she Mary had been chosen instead as Mother of God. 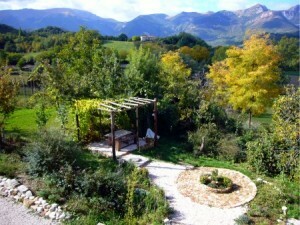 Why not enjoy some slow travel and contact us for information on a farm holiday at Agriturismo Fontechiara in Treia, Macerata, Le Marche, Italy.